I would like to share a revelation I’ve had which has thrown me into a frenzy of research and sleepless nights lately. And although I call it a revelation, its an idea thats been tearing at my mind for some time. It wasn't until I started my own business about a year ago, that I’ve actually had time to reflect about this industry that I’m in and how much I love and hate it at the same time. I’m sure many of you in VFX can relate to that sentiment. Being my own boss has afforded me luxuries that I rarely experienced as a freelance/“permalance” compositor; NOT working on the weekend if I don't want to, throttling my workload to fit within my 40-hour work week, going after and choosing the projects that I want to work on, the ability to set aside time for myself and my family. But most of all, I get to decide whats important for my business. I’m not at the behest of the Producers, the CEO, or the Stockholders. As my own boss, my primary objective is to earn myself a living, and a big part of that is having a life. However, being a loner does have its drawbacks. Especially in an industry and with an art-form that thrives in collaboration, being a one-man show doesn't facilitate that need for synergy — creating something together that is greater than the simple sum of its parts. So how can I have the collaboration I desire while maintaining the ideals that I want and that I’ve set forth in my business? Become someone else’s boss, right? Grow my business, take on employees, become the boss. But… I don’t want to spend my time being the boss. I want to spend my time making movies. I want to spend my time collaborating. I wouldn't mind sharing the responsibility of the business, in fact, I would rather people working with me have an equal say in what we do as a group. 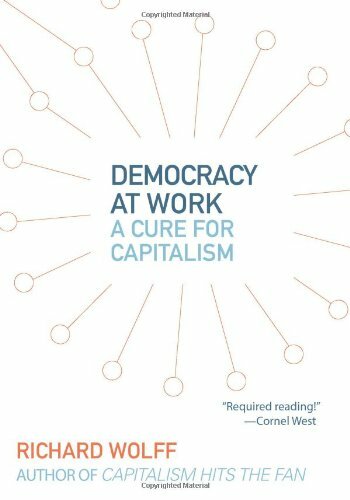 We live in a democracy after all, why can’t we work in one too? But how would that work? Is that even possible? As it turns out there is a very real and proven business model that fits these needs — The Worker Cooperative. This post will be the first in a series of posts about my dream that is The Cooperative Production Company. I don’t know how long this series will be or if there will ever really be a conclusion. Currently, I don’t have a plan. But by writing this and, hopefully, through discussion with the readers, I want to not only convince you that this can be the model of a viable and successful business but also solidify my resolve and collaborate on a business plan. So lets start with the basics. Simply put, a cooperative (or co-op) is a business that is owed and controlled by the people that use its services. Unlike a typical business where profits are returned to owners based on their monetary investment, a cooperative rewards its owners based on how much they use the cooperative. Also unlike a typical business where the owner’s control of the business is proportional to their investment, a cooperative is governed with democratic principles, specifically “one member, one vote”. So this is a very high-level definition, but its meant to cover a wide range of cooperatives. There are a few different types of cooperatives, and I’ll talk about how the Worker Cooperative interprets this definition. For a more detailed definition of a co-op's identity, values & principles, visit the International Co-operative Alliance. So if the definition of a cooperative is “a business that is owned and controlled by the people that use its services”. The “people” are called the members. A member of a cooperative is an owner of that co-op. Generally, they become a member when they economically contribute capital through the purchase of a share of the co-op. By becoming a member, an individual receives decision making rights in the co-op. The “services” the co-op provides is how these types of co-ops differ. Producer Co-op, Farmer's Co-op, or Marketing Co-op—these are often used to describe the same type of co-op where the members are independent producers, like diary or produce farmers, and they join together to process or market or distribute their products collectively. Any profit the co-op makes is returned (as patronage refunds) to the producer members, in proportion to how much they used the co-op. Ocean Spray, Land O'Lakes, and Sun-Maid are just a few examples from this group. The second type of co-op, which you're most likely familiar with, is called a Consumer Co-op. This group includes retailers like REI or your local food co-op, credit unions, and housing co-ops. In these co-ops the members are the consumers of the goods and services provided by the co-op. The co-op's job is to get high-quality goods and services, which can be bought in greater quantities than by an individual, and sell them to the consumers at a low price. Profits are returned to the members of the co-op as patronage refunds. You remain skeptical. You've heard of this co-op thing, you might even enjoy a yearly dividend from your membership at REI, but whats that got to do with a production company? Here's the thing, co-ops are not just about farmers and natural grocery stores that sell wheatgrass and goji berries. The third type of co-op is the one that I'm really interested in: The Worker Cooperative. A Worker Cooperative is a business entity that is owned by it’s workers, governed by it’s workers, and operates for the benefit of it’s workers. So the worker co-op is a bit different in how it interprets the definition of a co-op — “a business that is owned and controlled by the people that use its services”. The worker co-op’s “service” is the employment it provides it’s members and the members (or worker-owners) return it’s profits to themselves based on the amount and value of their labor. Because worker cooperatives are owned and controlled by and for the people who work there, they operate differently from traditional businesses in some key ways. In traditional for-profit businesses, the owners are sole proprietors or shareholders whose main interest is in generating a profit. Worker cooperatives are interested in making money too, but they are also invested in making sure that the business meets the needs of its members, such as paying fair wages and providing a sustainable livelihood. In typical business enterprises, major decisions are made by investors who cast votes based on the number of shares they own. In worker cooperatives, directors are elected and major decisions are made by the workers, on a one-member, one-vote basis. Therefore, control is vested with each member, not each share of stock. No member has a larger or more influential vote than any other member in the business. In investor-owned businesses profits are distributed based on how many shares each person owns. Worker cooperatives instead distribute surplus earnings based on a patronage system. This means profit is distributed equitably based on factors such as hours worked or value of work provided. Profit distribution is thus based on labor input, not on capital contribution. Workers do not receive a greater profit share by contributing more money directly to the business or by purchasing shares. It may sound like a bunch of hippie-dippy baloney but this is a very real and proven business model. 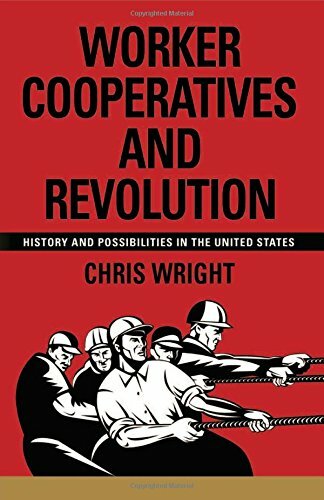 Worker Cooperatives have been around for a long time and although they aren't as widely known in the US (they are a lot more common in Europe) there has been some substantial success by worker co-ops here in the states. And the movement is gaining traction. New York City recently approved a $1.2 million initiative to help fund worker cooperatives. Madison, Wisconsin, not to be out-done by NYC, is investing $1 million per year for the next 5 years in the same type of initiative. So what are these businesses? How do they operate? How are they organized? I'll answer these questions and more in the weeks to come. In the meantime, I'd like to share this informative video that I found that should give you a taste of how a few worker cooperatives operate. I recently decided to switch my website over to squarespace. I've always coded my own site from scratch because I love the flexibility of creating something that is completely original. Lately though I've just been too busy to keep up with updates to the site so I'd been looking for a good CMS to help me update the site faster. I created my wife's site (www.erikamade.com) using squarespace and loved it. It's easy enough to use that she can go on and manage it now that its built, but its flexible enough that I was able to add a few bells and whistles via code injection and some added css. One of the things I wanted to add to my site was the ability to have some interactive images that you can wipe to see the before and after of my work. I came across this plugin from zurb.com called "twentytwenty". Then I found this blog post where this guy, Jake, had figured out a way to use it on squarespace with some code injection and then adding code blocks to the pages. While this is great, I was a little bummed that in order to get this to work I would be missing out on some of the ease-of-use factor I was hoping to get from using squarespace. I decided to see if I could modify the twentytwenty plug-in to try and create something that would work with squarespace's own galleries. That way I could add these images on the fly, and the code thats already on the page would do the rest. My experiment ended up being a success so I'm sharing it with you all here. Enjoy. Once the modified code is installed, you can simply create a "Stacked" image gallery and when you save your page, the first image in the gallery becomes the "after" or right-side image, and the second image becomes the "before" or left-side image. Just like the example below. The great thing about this is that you still get all the flexibility and auto image-resizing/formatting goodness that squarespace galleries offer and you don't have to do add custom code blocks every time you want to add new images. I won't get into too much detail on the modifications I made to the twentytwenty code here. All I did was modify some of the variables so that they find the images in your html the way that squarespace formats them. If you want to nerd out, you can see all the changes I made here on github. Click the button below to download the files you will need. jquery-2.1.3.min.js - This is the standard jQuery library. It is not modified and I'm really only providing it in this file for convenience. We're actually going to use the CDN hosted version in our code, this file will be the fallback if that fails. jquery.event.move.js - The twentytwenty plugin uses this library to make the interaction of the slider work on touch devices. I didn't modify this either. twentytwenty.css - This is the stylesheet for the twenty-twenty slider. I didn't modify this although I did inject some css into my squarespace site to hide the "before" and "after" labels. More on that later. jquery.twentytwenty_mx.js - This is my MODIFIED version of the twentytwenty plugin. Those guys at zurb.com really deserve all the credit. Now you can delete that bogus link you made. In your sqaurespace settings, navigate to "Settings > Advanced > Code Injection". Paste the following code into the Header section. You'll notice the first line points to a googleapis.com address. 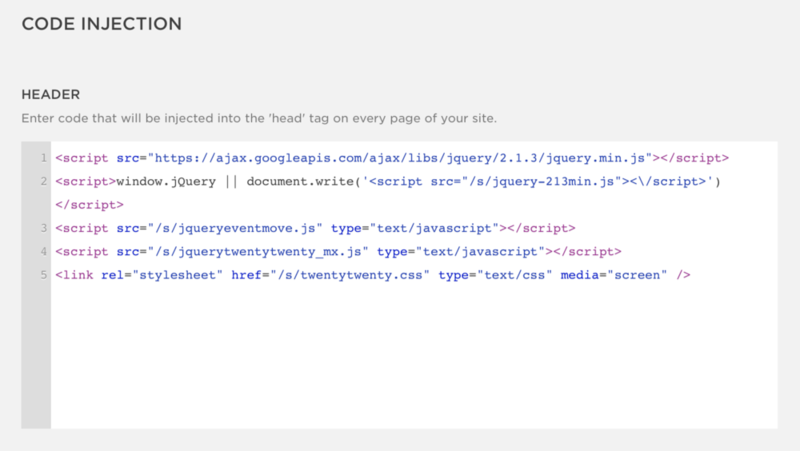 Because so many people use jQuery, google hosts this library for anyone to use. This is known as a CDN (content delivery network). Since its very common practice for websites to use these google-hosted libraries, it's very likely that your website visitor already has that library cached which will speed up their load time. Line 2 is a fallback for when the CDN is down and your visitor doesn't have that library cached. It will load the jQuery library file that you've uploaded to your squarespace site. Very unlikely, but better safe than sorry. Lines 3-5 link the rest of the files you uploaded to your site. For this next bit of code, you have two options depending on how you want to use this on your site. If you want EVERY stacked image gallery on your ENTIRE SITE to automatically have this "before and after" effect, then you can add the following code to the Footer section of the Code Injection page where you added the Header code. Note: this only applies to stacked galleries, no other gallery types will be effected. Navigate to the page you want to add your images. Add a Code content block as the LAST ITEM in your Page Content area. and add the same code from above. Now that you've got all your code injected, all thats left is to create your stacked gallery. Simply insert a new stacked gallery content block into your page and upload your 2 images. Just remember that the images will effectively "swap" places when they are combined. The left image in the edit dialog will be your "after" image, and the right image in the edit dialog will be your "before" image. That's it! You're done. You should have beautiful, interactive before and after images on your site. You may notice from my example at the top of this post that I decided to make even more customizations to the look of the plugin. I've hidden the circle and thinned out the divider line. If you want those same customizations, you can paste this CSS into the "Design > Custom CSS" settings. orientation: changes the orientation of the line. The default is "horizontal" but you can change it to "vertical" if you want the dividing line to be horizontal. Yes, you read that right, change it it "vertical" if you want the line to appear horizontal. I didn't write the plugin. default_offset_pct: changes the start position of the divider line. The default is "0.5" but you can change this to any decimal value between "0" and "1", "0" being all the way to the left and "1" being all the way to the right. If you wanted the line to start say 20% from the left side, you would use "0.2". After receiving so many gracious comments on this post and helping many of you with issues over the past year, I've decided to suspend the comments section on this post. If you are troubleshooting issues, please check the past comments for common issues and the answers I have given there. When I cobbled this together for my own site about a year ago, I tested it on a few squarespace templates at the time and it appeared to work on most of them. I was using the "Devlin" template for my site when it was created and at this time of this writing am using the "Hayden" template. As squarespace continues to evolve and add new templates, I cannot guarantee that it will work on any of their new templates, but I would have no reason to think it would stop working on the older templates like "Devlin" and "Hayden". If you are having trouble adapting my code to your site and you're a little tech savvy, you can see how I modified the original code by zurb here on github. Seeing where I made the modifications and the HTML tags that I targeted, you may be able to re-adapt it to fit with a newer squarespace template.